Each person, condition and injury is unique, so osteopathic treatments and interventions will vary from person to person. Osteopathy combines exercise prescription, movement and lifestyle advice, dry needing and hands-on treatment. Hands-on treatments can include massage, stretching, repetitive movements, mobilisation and/or manipulation. If your injuries require hands-on treatment of painful and tender areas, your osteopath will inform you. Your osteopath may also provide education and advice to help you manage your condition between appointments. This may include giving you exercises to do at home or at work. No, you can make an appointment directly with your preferred clinic without a referral. Under certain schemes you may need a referral. If you have been diagnosed with a chronic health condition and require complex care, you may be eligible for Chronic Disease Management (CDM) assistance. The GP must complete a special referral form (PDF, 201kb) to refer you to an osteopath for treatment. Although there are not many conditions that require diagnostic imaging before a first appointment, if you have any X-rays, scans, diagnostic imaging, test results or reports for your injury or condition, bring them along. Yes, but please check with the clinic when you book your appointment. Generally most clinics will ask you to arrive early for your first appointment, as you will need to fill out initial paperwork. An osteopath will need to record your medical history to assist in making a diagnosis and discussing your treatment options. This may involve completing a survey, questionnaire, or self report for pain or function scores. You will also be asked to give your residential address and other relevant contact information. Under the law, an osteopath needs to obtain your approval to treat you, so you may be asked to sign an ‘informed consent’ form. The osteopath will also discuss consent and any limitations to your consent on each occasion they provide an assessment to or treat you, in case your circumstances and health information change between visits. It’s important that you feel comfortable, so wear a loose shirt or T/shirt, and loose pants or shorts, or bring loose clothes with you to change into at the appointment. You can check with the clinic beforehand, however often you will be asked to remove some clothing for treatment. Depending on the area of your body requiring treatment, your osteopath may ask you to undress to your underwear. We suggest you wear modest underwear or gym wear, so you are comfortable. If you are asked to remove outer clothes, you should be offered a gown or covered with a towel during the treatment. If a baby or young child or is being treated, the parent or guardian will be required to stay in the room during treatment. Teenagers may be requested to have a parent or guardian present in a consultation. Discuss this with the clinic and your osteopath before your appointment. Your osteopath will advise you if they can treat you or you need to be referred to another health practitioner. Your osteopath will conduct an examination and clinical tests. These include diagnostic, orthopaedic or neurological tests, movement and postural assessments, which determine how best to manage your condition. The examination may include passive and active movements. The osteopath may lift your arms or legs and you may be asked to bend over, or be asked to perform an activity. Be sure to wear comfortable, flexible and appropriate underwear and clothing. Osteopathy takes a whole of body approach to assessment and clinical management, so your osteopath may look at the area that is troubling you, as well as other parts of your body. For example if you have a sore knee, your osteopath may also look at your ankle, pelvis and back. Osteopaths provide a broad range of treatments. Osteopaths prescribe clinical exercises for you to do at home or work, provide manual therapy, needling techniques, lifestyle interventions and recommend equipment to help you manage your condition and function. It is important to tell your osteopath if your medical condition or health information changes between consultations. This includes any new injuries or change of medications. If your injuries do require treatment of painful and tender areas, your osteopath will aim to make you as comfortable as possible. Unfortunately some conditions are painful and may be tender during movement, stretching or treatment. This is a good question to ask a clinic when you book your appointment, as treatment times vary across clinics. Your initial consultation may last around 35 - 60 minutes. This will enable your osteopath to take a thorough history, to examine you and depending upon your condition, to treat you. Follow-up treatments are usually shorter, so please check the appointment length when booking your appointment. This depends on your condition. Long term or chronic conditions may require more clinical management than acute or short term conditions. Your osteopath will discuss this with you, based on your individual needs. In general, you may feel some change within 2-3 treatments. The cost of an appointment varies from practice to practice and across the country – please check when booking your appointment. Often a first appointment may be more expensive and take longer. Following appointments are usually shorter and cost less. 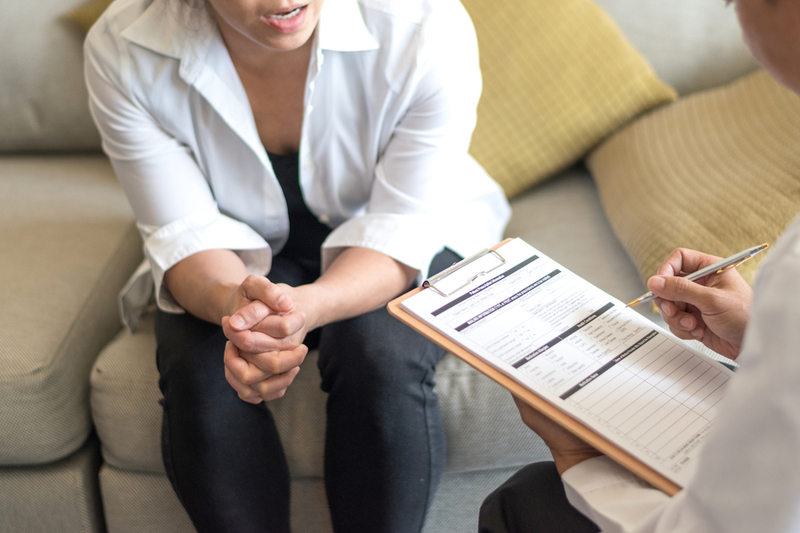 Depending on your condition or any concerns you have raised, your osteopath may require some further testing or referral to another health practitioner. Following treatment and depending on your condition, your osteopath may decide that additional investigations such as X-ray, scans or blood tests are needed. Your osteopath may refer you to another health professional or to your GP.